The new-look Lincoln Castle is celebrating its first birthday following its spectacular £22m refurbishment, completed a year ago this week. Improvements were made possible thanks to funding from the county council, Heritage Lottery Fund, European Regional Development Fund, David Ross Foundation, Garfield Weston Foundation and other private donations. 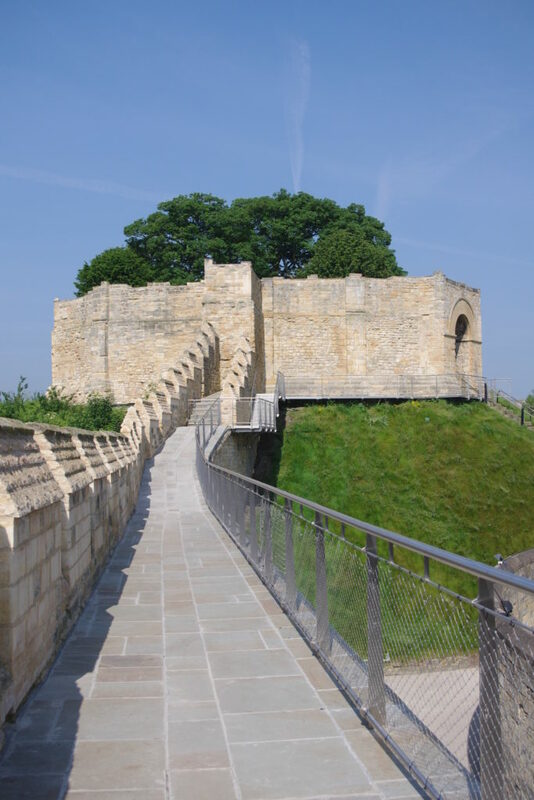 Work on the Lincoln Castle Revealed project was carried out by Woodhead Heritage, the specialist conservation team of Robert Woodhead Limited. Simon Butler, Conservation in the historic built environment advisor for Woodhead Heritage, said: “Lincoln Castle Revealed was a phenomenal project to work on, in terms of its scale, historical significance, and also in our positive collaboration with the team at Lincolnshire County Council. “Testament to the success of the scheme, we are incredibly proud to have been a part of the team that has already won ten regional and national awards. A year on from the reopening of the castle, we still sit as nominees in the prestigious Museums and Heritage Awards and the Royal Institute of British Architects (RIBA) Awards, both of which will take place this Spring. The David PJ Ross Magna Carta Vault, a new home for Magna Carta and Charter of the Forest – the only place in the world where they can be viewed together – with a widescreen cinema where you can immerse yourself in the story of King John and the barons. A complete-circuit Medieval Wall Walk, offering spectacular views of the city, enhanced by a fascinating audio guide. The newly-refurbished Victorian Prison – closed to the public for decades – including films, panels and digital interactive screens exploring prison life. Archaeology uncovered during the works, including an internationally important Saxon sarcophagus, or stone coffin. A new castle shop and café, offering souvenirs, gifts and refreshments. Cllr Nick Worth, Executive Member for Culture and Heritage, said: “It’s been a phenomenal first year for the castle, with a stunning 250,000 people through the gates. For more on all Lincoln Castle has to offer, visit www.lincolncastle.com.